13 Feb 2018 --- Nutriati, Inc. and exclusive commercialization partner PLT Health Solutions, Inc. are introducing a premium quality chickpea flour solution to the North American food market. Called Artesa Chickpea Flour, the new ingredient addresses a number of issues that have prevented other nutritionally desirable pulse/legume flours from gaining widespread adoption – including taste, sensory characteristics and formulating functionality. The move comes less than a year after Nutriati announced that it has closed on an US $8.0 million investment round led by London-based Tate & Lyle Ventures, which invests in expansion-stage companies in food sciences and enabling technologies in line with Tate & Lyle PLC’s strategy to grow in specialty food ingredients, and Powerplant Ventures, a Los Angeles-based venture firm that invests in visionary companies that leverage the power of plants to deliver better nutrition in more sustainable and ethical ways. Artesa Chickpea Flour contains a minimum of 12% protein. Featuring a raw material sourcing and manufacturing process custom-designed for the project, Artesa Chickpea Flour delivers a taste profile similar to premium wheat flours, along with similar mouthfeel and texture characteristics. From a formulation functionality standpoint, it offers similar, if not improved, performance compared to wheat flours in a variety of applications. This makes Artesa Chickpea Flour an ideal ingredient for developing consumer-pleasing gluten-free food products such as breads, baked goods and pasta. From a nutritional standpoint, Artesa Chickpea Flour contains a minimum of 12% protein. It is a source of resistant starch – and compared to wheat and other pulse flours, has a lower glycemic index. Artesa Chickpea Flour is wholly manufactured in the United States, with chickpeas drawn from select farms in the U.S and Canada. Nutriati will support the development of new food products based on the ingredient from their Applications Technical Center in Richmond, VA.
Chickpea flour is trending as an ingredient with Innova Market Insights reporting that tracked product launches featuring chickpea flour have more than trebled from 2012 to 2017, as new application areas have opened up. According to Devin Stagg, Chief Operating Officer of PLT, Artesa Chickpea Flour is an ingredient designed for the future of the food marketplace - that first had to conquer the issue of taste. “Flours made from pulses and legumes have a great deal to offer consumers from a health standpoint – and yet they have failed to become mainstream, primarily because of organoleptic issues – chief of which is taste, Today, taste – or sensory experience - continues its reign as the number one driver of consumer food choice. The Artesa project has had as its goal bringing the nutrition and sustainability of pulse flours to a broad public by directly addressing the issues of taste and final product quality. Our initial work with leading companies in the food industry has demonstrated that we have achieved these goals, he said. “Nutriati Chief Innovation Officer Michael Spinelli – with his long background in consumer product development at Ben & Jerry's and his leadership in the development of the Sabra Hummus brand - is a food and consumer products expert. Every aspect of ingredient development, from the sourcing and selection of chickpeas to the manufacturing of this flour has been re-imagined in Nutriati's drive to the current Artesa Chickpea Flour. It is important that people understand the values that underscore this ingredient,” he added. Replacing wheat in gluten-free products often requires multiple ingredients – some not so label-friendly – and processing workarounds to meet quality, texture and taste goals. 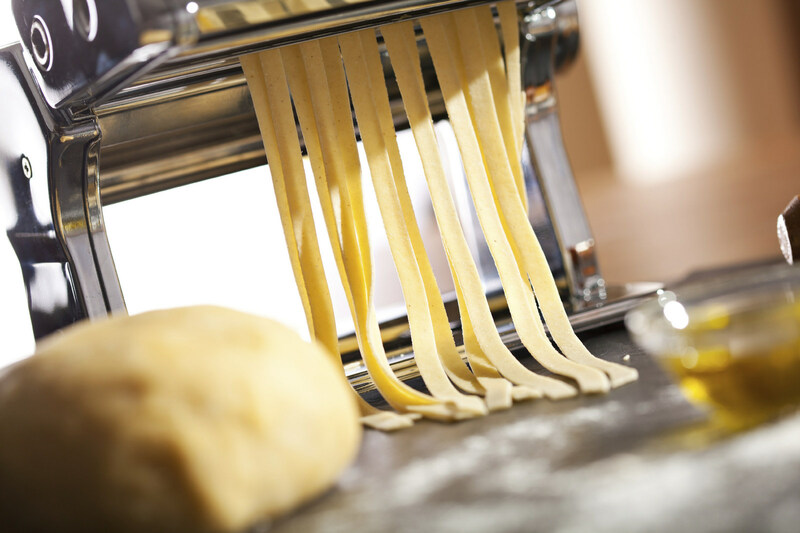 This makes Artesa ideal for difficult to formulate gluten-free applications such as pasta, leavened bread, flatbreads and pastries. Gluten-free formulations often have less than optimal nutritive profiles. Low in fat, Artesa Chickpea Flour is considered a 'good' source of protein (>12%) and adds fiber, resistant starch, vitamins (e.g. 100% DV of folate) and other nutrients. Chickpeas and chickpea flours are known to have a very low glycemic index (<30%). According to Michael Spinelli, the company is driven to improve people's food supply by offering new approaches to product development and nutrition. “We have recognized a fundamental shift taking place in the food and beverage community, driven by consumer purchasing habits favoring better tasting and healthier plant-based foods. The entire Nutriati team is excited to be a part of this community, working to positively impact social and environmental food issues while building a profitable and sustainable business focused on plant-based foods. Nutriati will work to make our nutritious and tasty ingredients accessible to everyone,” he said.